Supports nutrition education programming for FoodWIse and serves as a resource and advisor to county colleagues. Provides leadership for school-based policy, systems, and environmental change strategies, including Smarter Lunchrooms, School Wellness Policies, and Farm to School. Emily joined UW-Extension in February 2017. 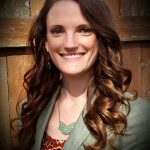 Emily has experience working with child nutrition programs, local food and agriculture, nutrition education, and global health initiatives. Previous roles include Coordinator for the National School Lunch Program with the Idaho State Department of Education and Farm to School Program Coordinator with REAP Food Group. #FlashbackFriday. Peggy Olive gives tips on staying within your budget during holiday shopping. Barb Ingham provides tips to protect consumers from foodborne illnesses. Jeff Sindelar gives tips for a great grilling experience. Family Living employees with a Net ID are encouraged to visit and subscribe to the FL Connection: Family Living's Internal News Site.